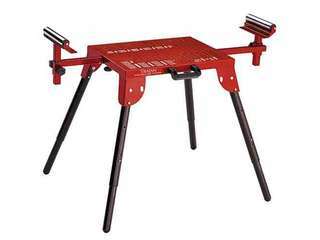 This portable Trajan 125 band saw can easily be carried to your work-site. At Trajan, we understand how essential it is for shops to take on a variety of jobs. No one should be forced to sacrifice efficiency for size. That’s why we designed the Trajan 125 band saw to meet the needs of operators while they’re on the go. It may be small, but this cutting machine makes quick work of a variety of applications regardless of where you use it. A snap to carry to and from the work-site, the Trajan 125 band saw was designed with an arch-blocking device for operator convenience. This feature makes the 125 band saw easy for operators to handle. Its compact design and strong, but lightweight build means operators can go mobile without compromising precise cutting capabilities. Cuts many types of material up to 5”. 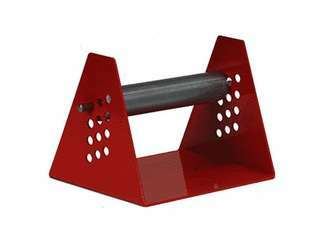 The RS 500 Roller Stand is 8" wide, 6" tall with an 8" roller and a 93lb capacity. It has with adjustability from 2" to 4.75" in ¼" increments and that means-no more fighting with the material to get the right height and cut it straight! The roller stand's powder coated steel wide base creates a strong base that provides extra stability and durability, while the steel-polished roller allows for free horizontal movement of the work piece on the roller. The stand's ergonomic shape allows for easy use everywhere and adjusting to most work heights. Compact and portable, the RS 500 Roller Stand is designed to be a compact size for easy storage and transportation. Weighing in at only 1 pound this stand can go anywhere with you! But don't let its size and weight fool you, it's still tough enough to use every day and on all types of saws. 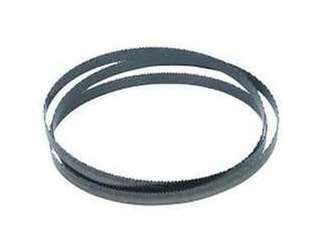 For Cutting Structural 2" - 5"
Qsaw band saw blades are of the highest quality available. A combination of high cutting rates and long blade life make them ideal for use on a variety of applications. These cobalt M42 band saw blades are hardened to 67 - 69 HRC for use in alloy and stainless steel applications. For Cutting Structural 1/2" - 4"
For Cutting Solids 2" - 5"